Fitbit is promising to go the distance in 2016 with additional products, even though it already launched two wearables this year: the Fitbit Blaze smartwatch and Fitbit Alta fitness tracker. It's looking to keep up the pace in the eight months and, in its quarterly company earnings call, it's teasing new additions in its line of popular fitness trackers. 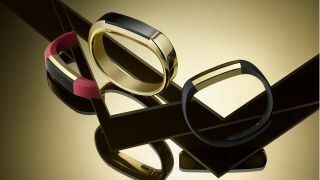 They're "exciting new products," said Fitbit CEO James Park, The Verge reported. No other hints were given a the release date is vague too: they'll launch before the end of the year. However, you can expect Fitbit to capitalize on tracking our fluctuating holiday weight in 2016 and right before all of those New Year's resolutions into 2017. Fitbit's earning call today noted that a major contributor this past quarter were its Fitbit Blaze and Fitbit Alta. They made up 47% of the financial period's sales despite launching relatively not that long ago. The company also had a stronger-than-expected quarter for revenue, reportedly raking in a impressive $505.4 million (about £348.7, AU$677.8) by selling 4.8 million devices. Even more impressive, it has sold a grand total of 43 million Fitbits sold to date. Despite what appear to be good sales, Wall Street feels differently. The Fitbit stock just dropped a harsh 11%, possibly due to potential market saturation in the wearable market. Another reason it would be tanking is because of the recent departure of COO Hans Hartmann. He's leaving to work for the not-so-active wearables at Oculus VR. Finally, with Apple teasing the Apple Watch 2, it's likely depressing Fitbit's otherwise rosey revenue gains, as the Apple Watch has been seen as just a starting point for the Cupertino company. Your next fitness tracker could be...your skin!